The Marquess of Newcastle's Regiment of Foote, A Sealed Knot Society Regiment. What’s it like to be in Newcastles? What role will I have? As the Heatwave continued to scorch Britain, Newcastle’s turned up in relatively large numbers to Devon Park, Newark once again on the Friday afternoon and started to set up camp ready for what turned out to be a great weekend. The advantage of going back to Newark again is having knowledge of the area and what to expect at the event. We were able to set up camp easily if a little squished in and get straight to the important things such as catching up with friends, having a few drinks and eating! 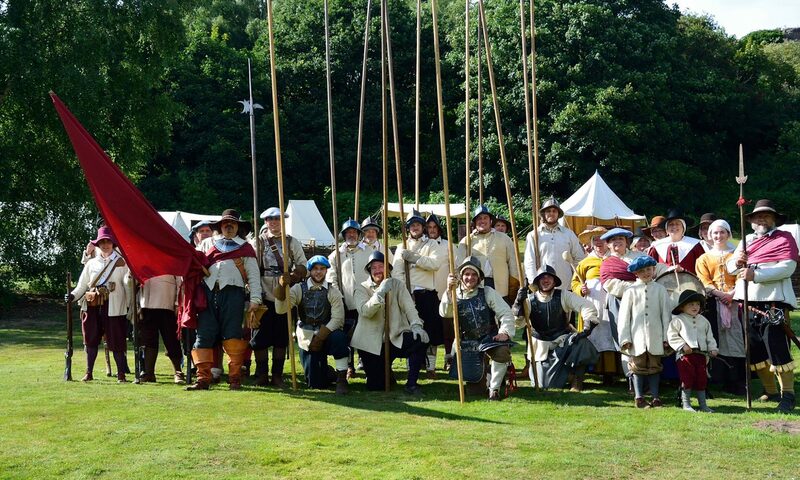 Nantwich 2019 – A new Pikeman’s view. Upcoming Event: ‘Stafford Under Siege!’ Stafford Castle, Staffordshire – 9th September 2018.